The abundance of new technologies and powerful opportunities in marketing can get really mind-boggling for marketers and can make it easy to for them to fall into some marketing traps. How on Earth would you not feel lost in this jungle of new solutions? And how can you know that an agency is honest with you? Having conducted or supervised more than 900 digital campaigns, I witnessed several dangerous traps that at first glance were hard to spot. In this article I show you the most popular of those. 1. Don’t let the CTR deceive you. One of the most frequently used indicators for assessing the effectiveness of online advertising is the Click-through rate. It indicates the ratio of the number of clicks on the ad to the number of its views. Imagine attractive advertising formats, beautiful graphics, with strong CTA encouraging to take action. A lured customer clicks and lands on the website. However, the problem occurs when the page is not consistent with the creative’s visual design, or when the user is flooded with information, instead of being presented with the same main idea shown in the ad. This will result in the website being abandoned and the campaign results ending up being far from satisfactory. HINT: It is important to focus not only on the aesthetics of the ad’s design but also on the communication and promise we use to tempt the user to enter into interaction. But what if I told you that sometimes a decrease in CTR is a good sign? Take one of the campaigns for a financial sector client. CTR, conversion rate, number and cost of leads acquired through contact forms were all at a very good level. We analyzed the effectiveness of the campaign from start until the closure of the conversion path, i. e. granting a loan. At the validation stage it turned out that, while quantitatively speaking it all looked great, as there were lots of people applying, but the problem was that a huge part of them was eventually not eligible and their applications had to be rejected. We have therefore tightened the targeting of our advertisements, adding additional messages to exclude ineligible people from the start. Actually, even the ads were perhaps less aesthetically appealing, but a clearer and more to the point message was created. As a result, people who were clicking were much more informed. CTRs and the number of leads have fallen quite sharply, but their quality has improved several times! CTRs in mobile ads – often mobile ads cover a large screen area or are placed in such a way that you can easily click them by accident. Such ads are characterized by higher CTR than desktop advertising, but the traffic they bring is of terrible quality due to random clicks. Intrusive formats, e. g. top layer, interstitials, interscrollers – all those that open on the layer and overshadow the whole or part of the page. A large portion of clicks is random, making CTRs a gigantic but the quality of such traffic is poor. HINT: It is worth checking whether the publisher that offers a given package is basing it on several formats, especially if there are, say, double billboard, billboard, rectangle, but there is also a layer format between those, for example, scroll double billboard or top layer. Even though thanks to this, the cost per click will be lower than it would be without the layer format, but most of the advertising might be run (and often is) on this layer format. And that makes the quality of the campaign debatable, to put it mildly. Screenings – it is a format composed of one of the banner forms, e.g. double billboard and connected to the website’s entire background. It may be a large, visible form of advertising, but sometimes the sides of the websites’ wallpaper become black or in the colour of the site’s usual background, so they no longer look like an advertisement and yet are still clickable! This generates a huge number of clicks, but again, lots of them are accidental. Very often, when analyzing the results of an online campaign, we focus only on a small fragment of data, on conclusions drawn directly from an advertising campaign, while the true image can be much wider and informative. micro, which help you to determine the quality of your traffic, e. g. download the brochure or subscribe to the newsletter. It is also worth to check different models of conversion attribution and analyze what roles various traffic sources play in the whole shopping path. Sales analysis. If the product is distributed from different sources, it might be the distributors who will see the effects of the campaign rather than the manufacturer who is selling in their own shop. The pre-sales in the producer’s shop and the accompanying campaign enjoyed excellent results and high daily sales of the promoted product. When the product arrives at other distributors with a price lower by only a few %, sales in the producer’s shop fell several times within 1-2 days. 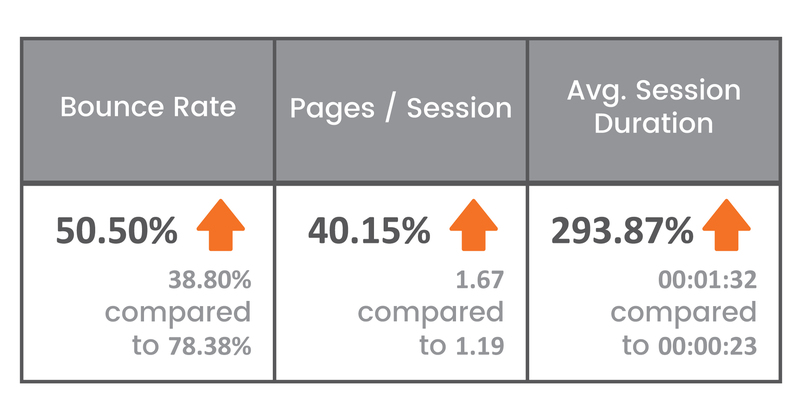 Media indicators and traffic quality remained at a very high level, but conversions decreased. Additional tools to analyze users’ behavior on the website, recording visits, confirmed that users are copying the name of the product, then searching for it in Google and price comparison engines and making purchases there. Ultimately, the customer was delighted with the global sales volume, but if, for example, the product was available from the beginning in many stores and a little cheaper than in the manufacturer’s shop and without looking at the total sales data, the campaign would certainly be considered ineffective. Sometimes it is much more expensive to obtain the first order of a customer than the profit it generates. It is easy to fall under the illusion that an advertising campaign was unprofitable by analyzing its return on investment only through the prism of the first orders directly from the campaign. You must also take into account things like customer retention, maintenance, customer lifetime value, and then this result can suddenly become very attractive, proving that the campaign paid for itself many times. The client, a Polish travel agency, offers exotic tours to destinations such as Seychelles, Maldives, Mauritius, etc. The cost of acquiring traffic on the website and of getting an enquiry was very high and very often did not pay for it immediately, but that is just part of the story. One of the clients ordered a trip to Maldives worth 28,000 PLN (about $8,000). She was satisfied after her return and almost immediately planned another two trips with the same bureau, as well as recommended agency to another 3 couples, the friends of hers. Two of them also decided to travel. This way one customer generated more than $30,000 worth of trips sold. A similar situation can be observed in e-commerce. Subsequent visits and orders, purchasing additional accessories for already bought products, repeatability of purchases – all this determines the final profit from the investment in advertising. During and after larger campaigns we notice an increased number of searches in Google, and consequently a larger number of visitors from direct and organic. The graph below shows the increase of visits from organic right from the start of the campaign. Apart from that, there were no activities in other media or increased SEO spending. It is also worth measuring how much information about our brand and products spreads organically in forums, social media and the Internet in general: whether there are more references to our brand, where, in what context and whether users are starting to recommend our product themselves. The Flat Fee billing (FF) might be also referred to as the permanent presence. It means that we pay the publisher a fixed rate for the advertising space – e. g. we order a week of our advertisement on the homepage of the website. 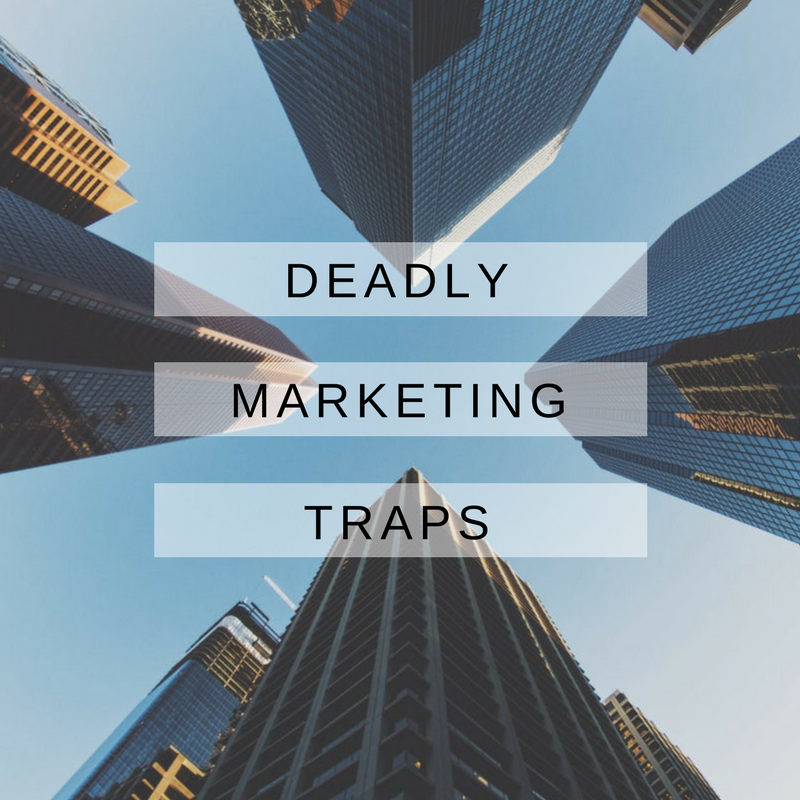 What marketing traps are there to fall into? Statistics – request them always beforehand! The publisher should provide you with information about the number of page views (PV) and the number of unique users (UU). This way, you know what to expect in return for a fixed fee – how many times your advertisement will be displayed and how many users you will reach. The data is given for the previous period, but it should be similar to what your ad will get. Rotation – something that is sometimes not mentioned, but it’s essential to clarify. You need to make sure, whether your ad will be broadcast exclusively in a given time, or in rotation, which means that you order a week of advertising presence, but you’ll be one of four advertisers, so only one in four views will be yours. Nothing wrong with that, provided you have this information beforehand and accounted for that in your estimations. HINT: It may be difficult to judge at first glance on which portal to order an advertisement. This should be done by comparing all data in one table. It should include information about the publishers, the users’ profile and the relation between usage stats and rates. The table will help you calculate the expected cost of reaching 1000 unique users or the cost of generating 1000 views. For this purpose, divide the net value by PV (Page Views) or UU (Unique Users) statistics and multiply by 1000 times to get the CPM. 4. Watch out for the confusing data. Amount of data, especially within the programmatic buying, is so large today, that it is quite a task to choose the data worthy of our attention and of our money (we have written about it in one of our previous entries). purchasing ads through the DOOH (Digital Out of Home) panel – that is, ads displayed on screens in shops, galleries, etc. Access to multiple providers of various kinds of user data based on demographics, online behavior, pages visited, advertisements clicked, interests, shopping intentions, etc. How do I choose the right data for my campaign? It is worth paying attention to who is the data provider and what kind of data. What kind of company, whether local or international; if the latter, does it have valuable data from our market? It is also a good idea to check where and how this data is collected. Unfortunately, this kind of information might be not so easy to obtain, but it is still worth doing research. Try asking the DSP (Demand Side Platform) or the data providers directly. Another important criterion is, of course, the price (usually the data are calculated in the CPM and charged together with the CPM value of the advertising space purchased). You have to find a balance here; check whether the additional payment of a few dollars per every 1000 impressions will pay off through an increase in conversion rates or the quality of traffic on the website. HINT: The final criterion for verifying the quality and usefulness of data in our campaign is a test campaign! It is always best to carry out several test runs: try purchasing data with a similar profile, but from different suppliers, and then select the one whose data is most suitable and most cost effective. What impact can data selection have on the campaign? Below is an example illustrating campaigns run for one of our customers – the same DSP platform, the same creatives used and identical rates. Changing the data used in the campaign itself has resulted in an enormous improvement in all those indicators that show the quality of traffic. They say the devil is in the detail, and this holds true especially for online campaigns. Seemingly effective solutions may prove to be ineffective in reality, as superficially evaluated indicators may give you a false image. Before running the ad, make sure how it will be displayed, and afterward, take a look at the effects it had from various perspectives. Only this way you will see the real effects it had, what it did and didn’t achieve and why so. About the author: Mateusz Sobieraj is the CEO of adCookie digital marketing agency, that won the Golden Arrow marketing award for the Internet Innovation of the Year, and was named the best in 4 categories in the yearly report of interactive agencies by Millward Brown / Media & Marketing Polska. Mateusz managed more than 1000 campaigns, having worked with brands such as ASUS, YI, Toshiba, LifeFitness, Mobile Vikings and more. You can ask his advice on digital marketing, especially AdWords, new media planning, latest global trends, RTB, VR and Rich Media. The article was originally written in Polish, and printed in Sprawny Marketing magazine. I love creating and implementing media strategies based on state-of-the-art marketing tools and newest industry trends like VR, Video 360, Rich Media, Marketing Automation, and Programmatic Buying. My strong numbers: 11 years of experience and 500+ digital projects successfully executed.